Young at Heart & Harvest Festival! It was a great end to the first half term of the academic year today and a day which saw no less than three governors visit school to work with the children. 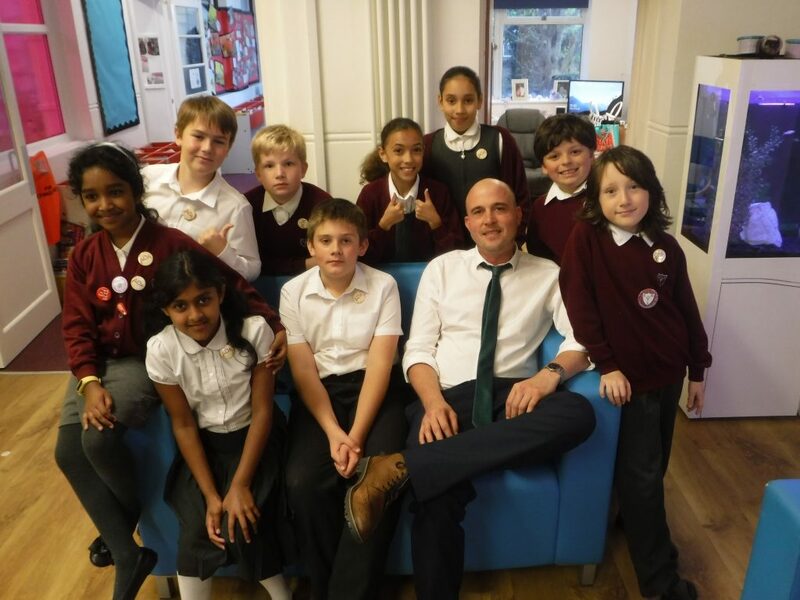 Mr Stanton, our Chair of Governors, and Mrs Ham, one of our Vice Chairs, met with this weeks ‘Learning Ambassadors’ in order to find out all about the learning which has been taking place in each class from Years One to Six throughout the past five days. The children did a great job in explaining what learning has been taking place, well done to all of this weeks ambassadors! There was more governor action at our latest school council meeting today as the children had a special visit from Mrs Wilson. They started the meeting by talking about rules for the new Woodland Diner and decided that they would go back to their classes and ask each class for ideas before finalising some rules. The school council showed how considerate they are as they wanted to investigate the KS1 dining hall and make sure it is as lovely as the new Woodland Diner. In response to this they have set up a mini working party of four who are going to spend some time in the KS1 hall and make sure it is a lovely dining experience. Later in the morning the children took part in the weeks simultaneous ‘Celebration Assemblies’ where, as well as presenting this weeks ‘Earls Hall Stars’ and other certificates for individual achievement, each assembly was joined by a representative from the Southend Foodbank. Sarah and Tom thanked the children for the amazing amount of tinned and dried goods which had been donated throughout the course of the week and explained a little about how it would be used to benefit local families. Thanks to everyone who donated any of the collection. In the afternoon the children from the Foundation Stage to Year Two celebrated the reading achievements of all of the readers who had read at least twenty five times at home over the course of the half term by presenting them with their bronze ‘Reading Champions’ badges. Well done to all of the children who received their badges today, keep up the great work everyone! Over in the Woodland Diner a group of children from Years Five and Six took part in the latest ‘AOK Club’ mission which saw them prepare and host an afternoon tea for members of our community; many of whom were retired. The children prepared for the ‘Young at Heart’ tea party by preparing slices of cake, arranging scones and jam before hand whipping the cream which took a fair bit of team effort! The children greeted the visitors before showing them to their tables and taking their drinks orders. Mr B helped them prepare the hot drinks before the team had the opportunity to demonstrate their conversational skills by telling their guests about their day and asking about theirs. It turned out that some of the guests were past Earls Hall pupils so the children invited them to take part in our anniversary celebrations taking place after the half term break. After the tea the children cleared away the plates and the Year Six children worked with Mr B to pop them in the dishwasher. Mr B was extremely proud to present the children with their badges at the end of the mission, well done we are proud of you! ← Cracking Cross Country & Fab Forest Friends!